George "Geohot" Hotz wanted to crack the PS3—so he did, and infuriated Sony. He's become a target, globetrotter, and spectacle. But before? He was little tech-inept deviant. 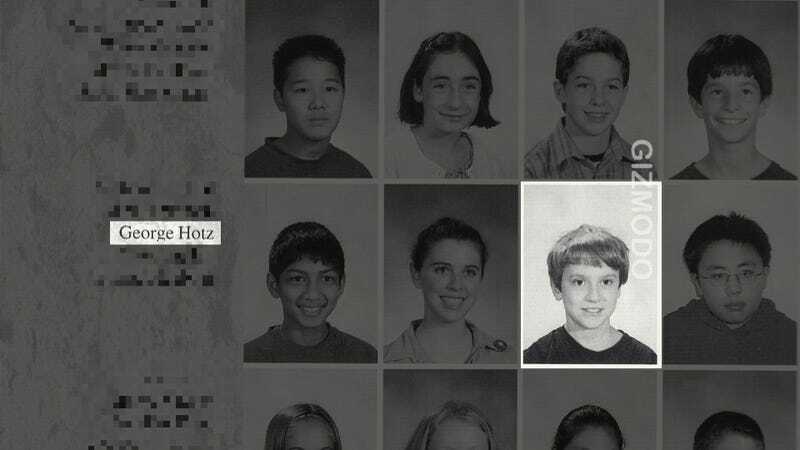 Gizmodo's got his yearbook, and two people who probably signed it. George was this funny little kid—really chatty ... he did whatever he wanted all the time. Really weird and quirky. He used to approach fellow students and try to sell them his home-built computers. He made his own motorized scooter and would ride it around our little town from house-to-house "fixing" peoples' computers ... though we don't actually know what he really did. We had him over one day to fix our computer. But he didn't fix our computer, he definitely messed it up. I'm pretty sure he had an ad in the town paper. He came over to our house one afternoon when our computer had been acting particularly fussy. He babbled for a bit about what was wrong with it, and I remember being so intrigued by his knowledge that I just sat there and watched him work. A 14-year old Hotz proceeded to tamper with our computer for the next couple of hours. When he had finished, he received a pretty hefty compensation, I believe around $70, and scooted down our street on his way. The problem with our computer, whatever it was, was worsened by [his] visit. Eventually we had to trade in for a new one. But I never blamed him. He was just too damn adorable. And now, the Geohot saga is over. George Hotz has settled with Sony—we don't know all the details of the deal, but it looks like all Hotz has to do is not further spread his cracking method online. Piece of cake, and much better than being bankrupted by an enormous corporation with a limitless legal arsenal. We're glad to see him escape the corporate hammer, but based on the above, it's hard to imagine him staying out of trouble forever.